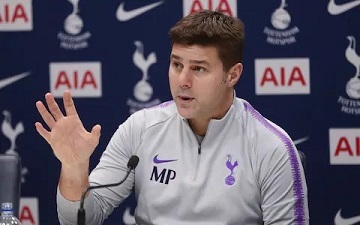 Following Jose Mourinho being dismissed as Manchester United manager, Tottenham boss Mauricio Pochettino was immediately touted as the early favourite to replace him. This led to reporters quizzing the Tottenham manager on the subject at the first opportunity. However during a press conference last week, Tottenham’s head of communications Simon Felstein was not prepared to witness this continuing, asking Sky reporter Dharmesh Sheth to “move it on please” when this line of questioning resurfaced. Sheth did not relent, which resulted in Felstein asking for filming to be temporarily halted, so that he could speak to the journalists privately. When the cameras were turned back on, the press conference continued with no further mention of Manchester United. This was an important victory for Tottenham as they battle to keep hold of their talented boss, so what PR tactics led to this success? Be prepared. Given the speed and assurance of Felstein’s reaction, one must assume that his team had discussed the situation in depth and he would have arrived at the press conference ready for this scenario. This left him well positioned to execute an agreed plan, which he did impressively. Be respectful. Felstein was controlled in his behaviour. He was not antagonistic, instead politely explaining his position in a calm manner, which ensured that the situation did not become fraught. This is important in the short and long term, as goodwill is key to ensuring the club-journalist relationship is a positive one. Be firm. In these situations it is likely that the journalist will try to continue with their planned line of questioning. When the question was repackaged in a way that seemed to only allude to the Manchester United job, Felstein was not deterred. He did not alter his position and avoided getting drawn into a debate, leaving the journalist with few options. Be united (no pun intended).Pochettino allowed Felstein to manage the situation, without interjecting. If Pochettino did get involved, it would have provided the journalist with renewed encouragement, as it would have undermined Felstein’s position. Be bold (if necessary).In this particular scenario, Felstein requesting the cameras to be temporarily turned off, which is highly unusual, proved to be a masterstroke. This avoided a potentially damaging confrontation live on air, and enabled a full and frank conversation in private. Ultimately every scenario has its unique set of circumstances, but the above five tactics should be on the mind of every communications consultant. I wonder the role that history is playing in Tottenham’s communications plan. In 2012 the UK media regularly asked Harry Redknapp, the Tottenham manager at the time, about the prospect of becoming the next England manager, which coincided with a downturn in performances. Perhaps this was a key learning curve for Tottenham. With the team fighting for silverware on all fronts, they will be desperate to avoid a repeat. Whilst it is very early days, after Sunday’s 6-2 thrashing of Everton, it’s a case of so far so good. Jonny Garfield is an account manager at The PR Office.